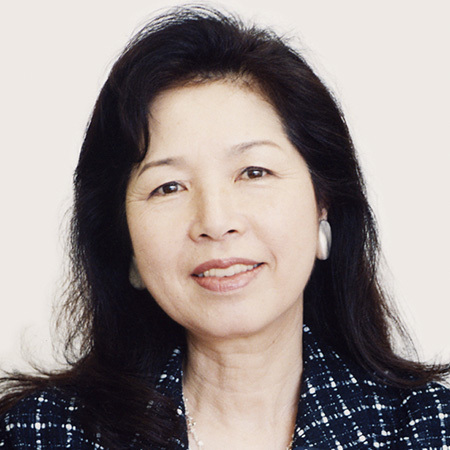 Vice-president of the Tokyo Design Center inc.
Representative of the RHAJ Oxford Univ. President of the Tokyo Design Center inc. It was 1992 when I opened the TOKYO DESIGN CENTER in the central Tokyo, the first interior mart in Japan. It functions as a meeting place for designers, manufacturers and users to select various interior products such as furniture, fabrics, carpets and lightings. Because it brings together in a single location those showrooms displaying prestigious brands of interior design, it is proving popular not only among professionals but also, more widely, among the general public. The most important facility of the Center is the Galleria Hall where the Center has staged many design events since its opening. These have included a series of exhibitions showing the high standard of design activities; as an opening event, Mario Bellini directed a retrospective exhibition of his own work. We also held many cultural events such as the dance performances by Pina Bausch or Kazuo Ohno, or a visual physiologic exhibition of art & science by Noriyuki Tanaka. In addition, a number of symposia have been held, which have taken as their theme the relationship between design and social need in contemporary life. As the Center has worked to assemble exhibitors with new and exciting ideas to offer, “the quest for the good quality of life” is our key word. We can solve the problems of clients and visitors, creating new values in living environment through professional skills and wide network of the design industry. The aim of the Center is to become a cross-road for people and information, by providing a place where fields of design can develop each other.